DKW (Dampf-Kraft-Wagen, English: steam-driven car) is a German car and motorcycle marque. The company and brand is one of the ancestor companies of the modern day Audi company as one of the four companies that formed Auto-Union.In 1916, Danish engineerJorgen Skafte Rasmussen founded a factory in Zschopau Saxony Germany, to produce steam fittings. That year he attempted to produce a steam-driven car, called the DKW.Although unsuccessful, he made a two-stroke toy engine in 1919, called "Des Knaben Wunsch "- "the boy's wish". 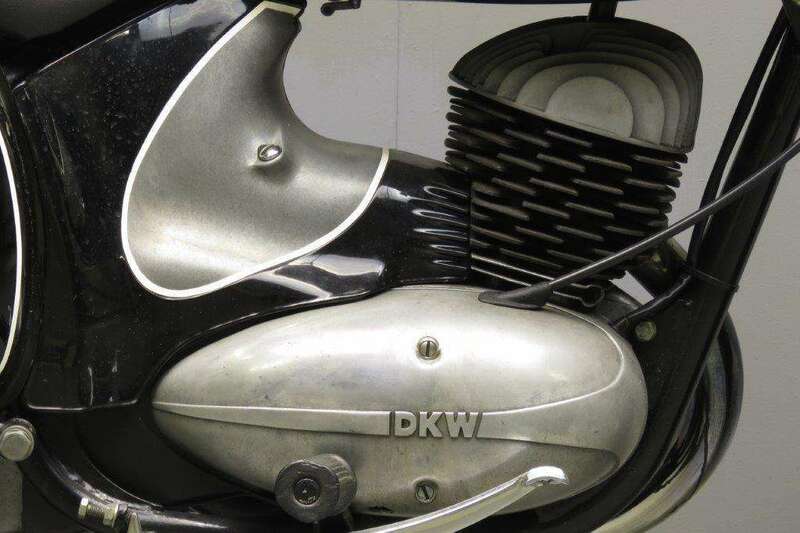 He put a slightly modified version of this engine into a motorcycle and called it "Das Kleine Wunder "- "the little wonder" the initials from this becoming the DKW brand: by the late 1920s, DKW was the world's largest motorcycle manufacturer. 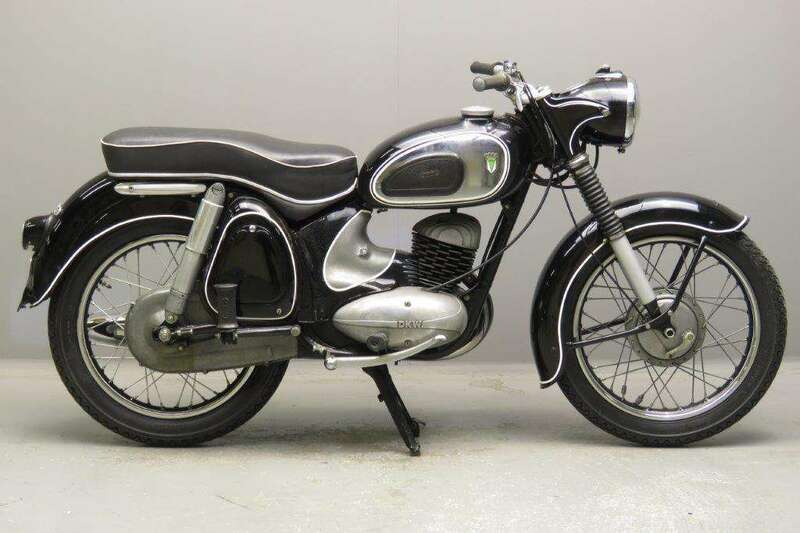 The DKW RT 175 was one of the company's most successful post-war motorcycles. 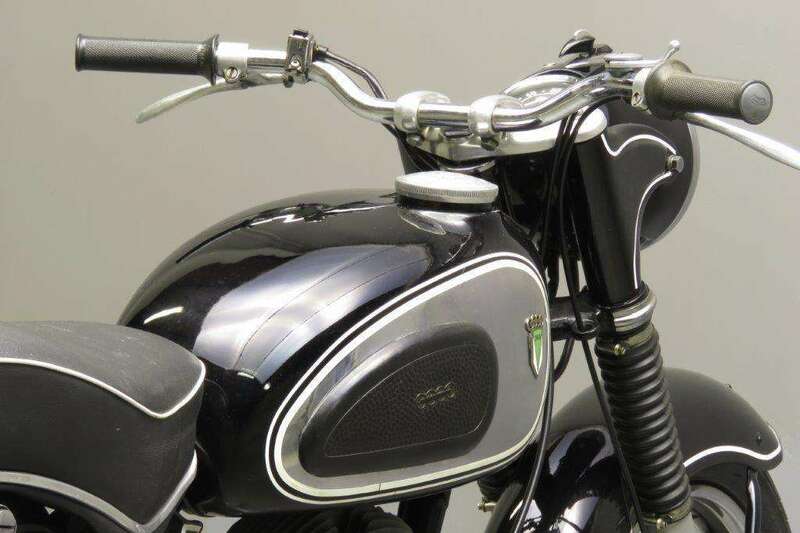 It was a new design that reached the market in 1954 and satisfied demand in the popular 175 cc class. 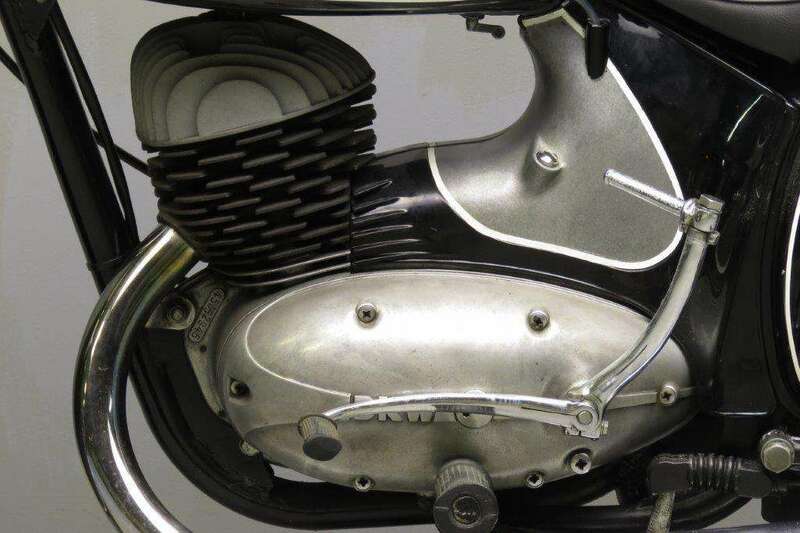 The engine, rated at just under 10 horsepower, was notable for its excellent torque characteristic, and the four-speed gearbox helped the rider to make even better use of the available torque. This RT175 model has a modern swinging arms at the rear and telescopic front forks. 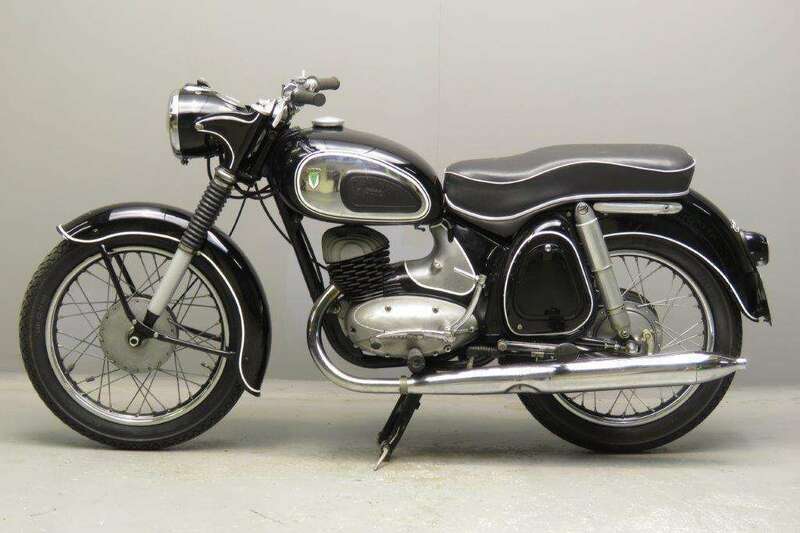 The DKW presented here is in a well running and good condition and promises lots of riding pleasure.